Using these bag sealer dispensers are a simple and economical way to close poly bags with vinyl packing tape (see our PVC Tape). They are capable of sealing 2,000 bags per use and use only 2" of tape per seal. 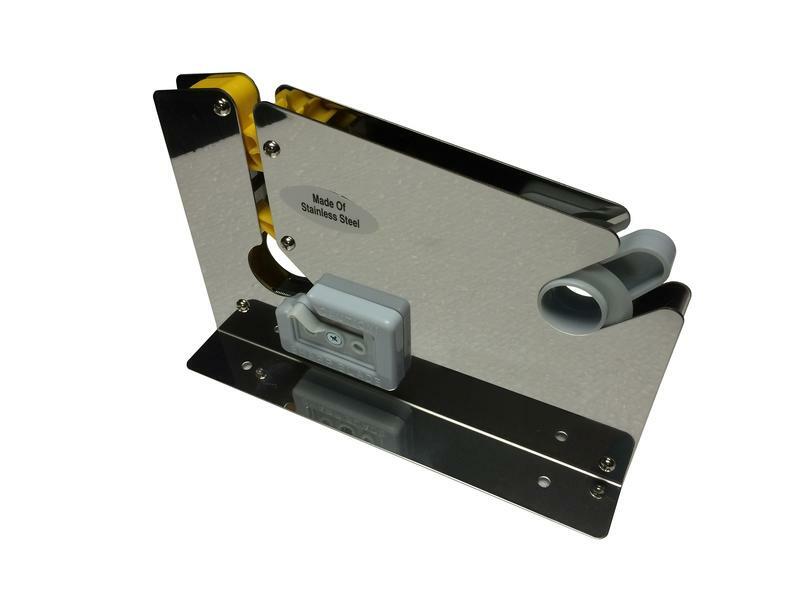 Dispensers are all steel constructed with pre-drilled holes in the base for mounting on a work surface. Sealers include a bag cutter to cut off excess poly bags. Dispensers require no assembly or maintenance. 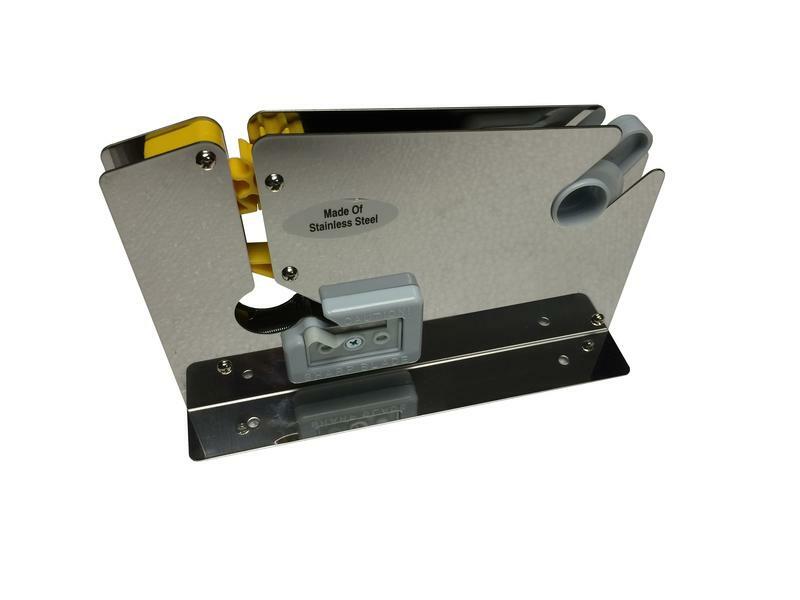 Standard sealers have a 3/8" wide throat and heavy duty sealers (SL-808K) have a 5/8" throat. Simply place PVC tape on the 3" core wheel and it is ready to use. Easy to use. Just twist the mouth of the poly bag and slide through the slot (throat) with a downward motion. The tape wraps around the bag neck instantly and the tape is trimmed automatically. The excess plastic bag can e cut off with a continuous downward motion passing through the trimmer. 3/8" x 180yards (540ft) of polyvinyl pressure sensitive (PVC) tape with a 3" core is used. The PVC tape is available is available in seven vivid colors: black, red, blue, yellow, orange, white, and green.